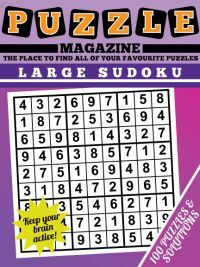 The most popular size of sudoku grid with children is the 6 x 6 sized sudoku grid. However, these are not usually seen in most newspapers or magazines and therefore can be difficult to obtain. 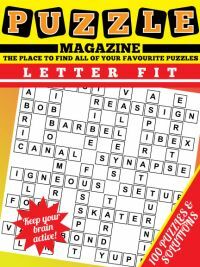 This puzzle magazine contains 100 sudoku puzzles of exactly this size, and therefore is ideal for children. 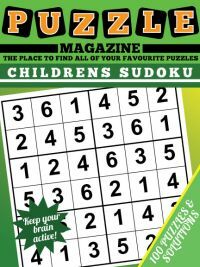 For very young children, we also have a 4x4 sized introductory sudoku magazine: click the link in the left hand menu for more details on that title. With the 6x6 sudoku puzzles, the numbers from 1 - 6 must be placed once per row, column and 3x2 box that is marked with bold lines. There are 36 cells to fill in rather than 81 as with the 9x9 sudokus, and therefore these are a much more manageable challenge for children compared to the larger. 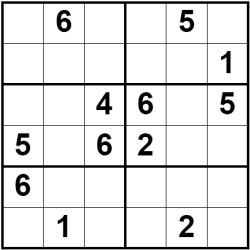 Simple logical rules are required to solve all of the children's sudoku puzzles: for instance working out where a number must go in a region because it can only fit in one cell in that region, or by eliminating other possible candidates for a cell until just the one remains. 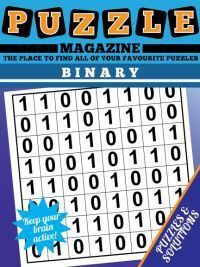 The magazine contains 100 childrens sudoku puzzles spread over 25 pages, with the solutions following on 25 additional pages. 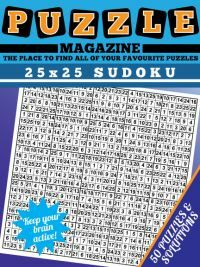 You can view a sample page of the Children's Sudoku Magazine here. Children's sudoku puzzles can be solved with just two simple solving rules. These require you to consider the options for individual cells. The first rule is to work out where each number can go in a region. So if there is only one cell in a region that a number can be placed, it must be placed there. The second rule that you need is to work out the possible values that can go in each square (as opposed to at the region level). This is done by looking at the other numbers already placed in the three regions shared by a cell: the row, the column and 3x2 box. The numbers that you are left with can be written in the cell as the remaining options. These are called pencilmarks. When there is only one option left, then you can place it in that square. 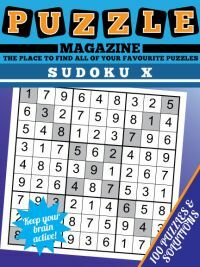 You won't need any more rules than these to solve the children's sudoku, although if you see other rules then you can of course feel free to use them - there are lots of other rules that you can find and can be used to solve the puzzles.